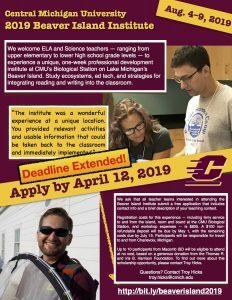 Experience a unique, one-week (August 4-9, 2019) field experience at CMU’s Biological Station on Beaver Island of Lake Michigan. 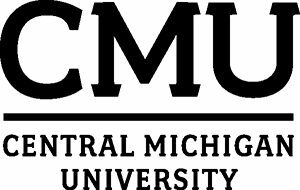 Registration costs for this experience — including ferry service to and from the island, room and board at the CMU Biological Station, and workshop expenses — is $825. A $100 non-refundable deposit will be due by May 1, with the remaining costs due by July 15. Participants will be responsible for travel to and from Charlevoix, Michigan. Need to ask for support from your administrator? Use our customizable letter! Up to 10 participants from Macomb ISD will be eligible to attend at no cost, based on a generous donation from the Thomas R. and Iris B. Harrison Foundation. To find out more about this scholarship opportunity, please contact Dr. Hicks. Deadline Extended! : 5 p.m. Friday, April 12 March 29, 2019. Participants who are selected for the institute will be notified by mid-April. Graduate credit will be available at additional cost (pending approval). 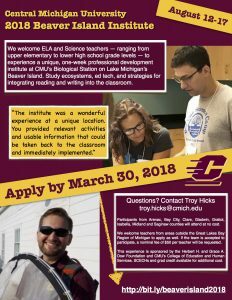 Experience a unique, one-week (August 12-17, 2018) field experience at CMU’s Biological Station on Beaver Island of Lake Michigan. Valued at nearly $1000 per participant, this program is generously sponsored by the Herbert H. and Grace A. Dow Foundation. 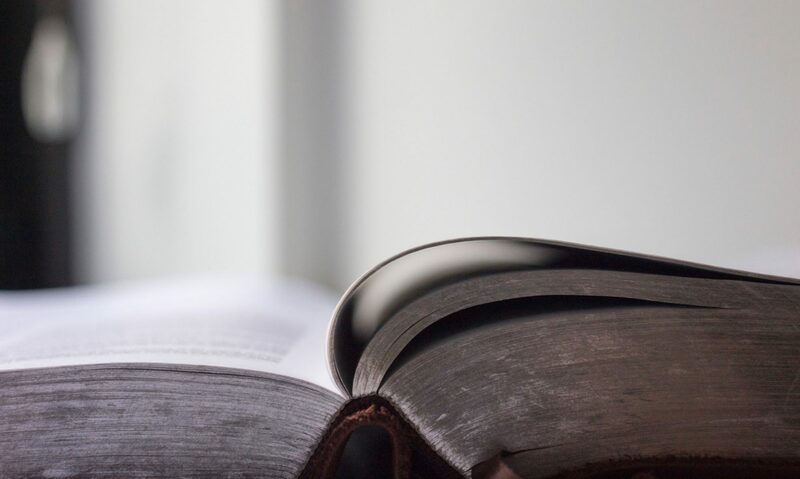 Priority will be given to teachers from the Great Lakes Bay Region of Michigan, whose costs will be completely covered by the grant: Arenac, Bay, Clare, Gladwin, Gratiot, Isabella, Midland and Saginaw counties. 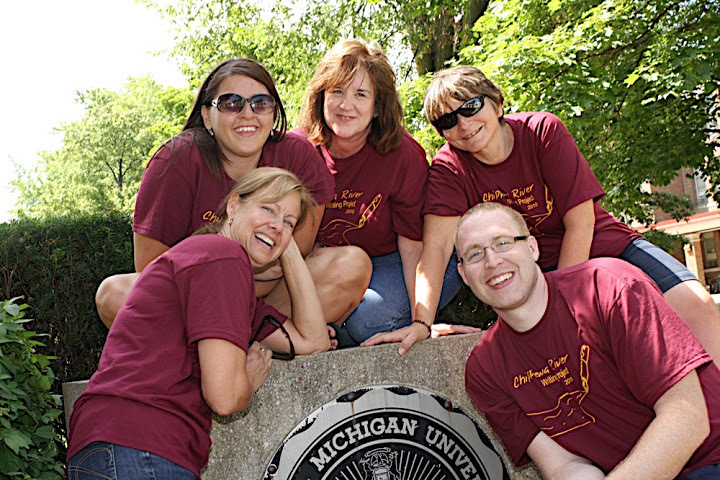 We welcome teachers from areas outside the Great Lakes Bay Region of Michigan to apply as well. If the team is accepted to participate, a nominal fee of $50 per teacher will be requested. 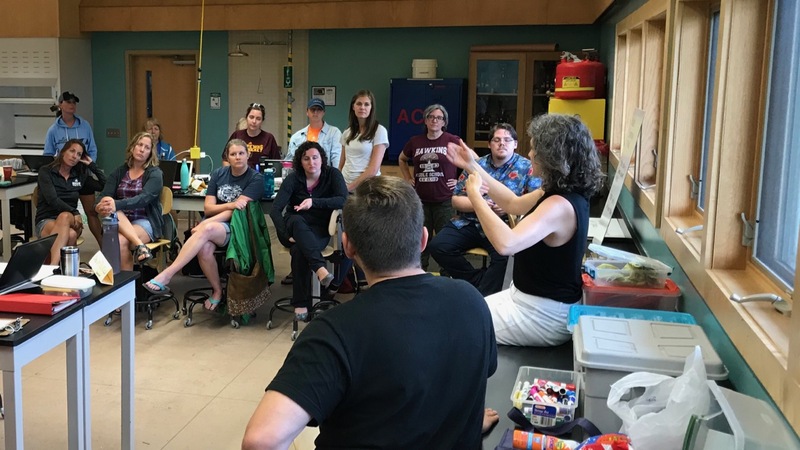 Working in pairs, this workshop is designed for science and ELA educators based in the same middle school. 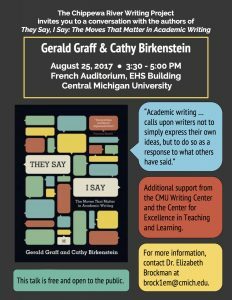 Teachers will study ecosystems, technology, and strategies for integrating reading, writing, critical thinking into the classroom. Participants will be responsible for transportation to and from Charlevoix, MI, to ride the ferry to Beaver Island. All instructional costs, materials, and room and board on the island are then funded through the grant. Integrative teaching practices to integrate mobile technologies (smartphones and tablets, as well as apps) into teaching and as a learning tool for students? When and how, specifically, you will plan to work together toward integration in the 2017-18 school year? How your participation in this institute will help you meet shared goals for the integration of science and literacy standards? Deadline: 5 p.m. Friday, March 30, 2018. Participants who are selected for the institute will be notified by mid-April. SCECHs and graduate credit will be available at additional cost (pending approval).